Hunter, Trapper, Resourceful fighter, and scout, Hugh Glass was a rugged man among other rugged American frontiersmen until he was mauled by a grizzly bear and left for dead by his best friends. Hugh’s rage drove him to crawl two hundred miles across dangerous territory to seek revenge until he was no longer Hugh Glass but had become Lord Grizzly. 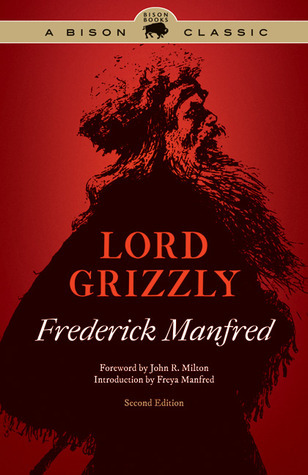 Lord Grizzly is the second volume of Frederick Manfred’s acclaimed five-volume series, The Buckskin Man Tales. For this Bison Books edition, poet Freya Manfred provides a new introduction.